New to the Broads and Norfolk Broads Direct? If you are considering your first Broads boating holiday, please be assured that there is absolutely no need for previous experience in boat handling. Before you leave our boatyard a member of our experienced team will explain all the controls and the safety equipment on board your boat. They will then take you down the river to show you how to manoeuvre and to moor up. Whilst on your holiday we are always at the end of the telephone if you need further advice. Often the phone call is all that it takes to reassure you, but we are always happy to arrange to meet you wherever you are on the Broads waterways at your convenience. As you browse through our 26 different classes of cruisers you will see that these vary from boats all on one level, ideal for customers who are less mobile, to boats with the option of driving from both inside and out. With our customers in mind, we have carefully fitted out and equipped our cruisers with all the comforts of home. For full details view our Life on Board section. Whichever cruiser you choose, you can be assured that it will offer fantastic views of the waterways and the surrounding beautiful countryside, allowing you the freedom to explore at your own pace. 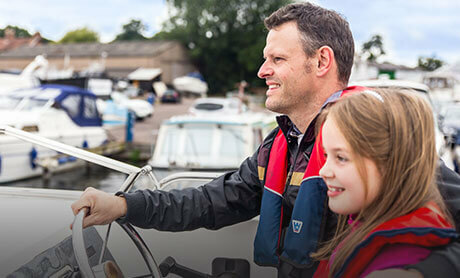 Choosing the right boat is the very start of your adventure… if you are still not sure which cruiser would suit your individual needs, then please call a member of our helpful reception team on 01603 782207 who will be happy to help steer you towards your perfect Norfolk Broads boating holiday. Please be aware, Norfolk Broads Direct require a minimum of 2 adults to be staying on each cruiser. Every time you holiday with us you’ll receive a Unique Voucher Code, entitling you to a 5% discount off the hire terms of your next holiday (T&C’s apply). Order your free brochure online available as a printed copy or download online. 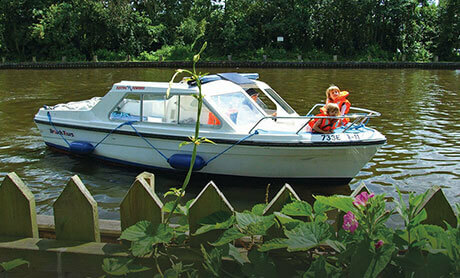 Would you like to sample the Broads before you book a holiday? If so, why not visit our sister company Broads Tours and try their day boat hire or river trips.